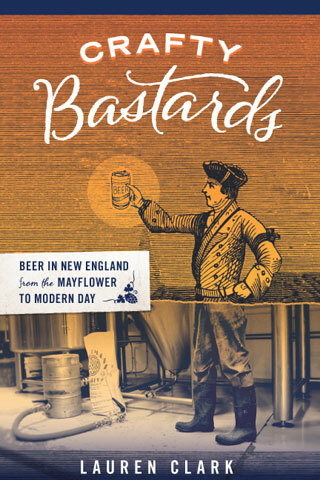 Todd Maul, who tends bar at the newly re-vamped Rialto in Cambridge’s Charles Hotel, emailed me recently, asking, “Could you do a posting on bartending books?” Specifically, he was curious about which books other ‘tenders around town found most useful. I decided to add to Todd’s idea and ask whether any of Boston’s libation gods and goddesses recommended a particular bartending school. Whoops….I didn’t get my response in under the wire so I wasn’t included, but I have to agree with the book collection listed above. One that I did not see was the (most recent) Esquire Book by David Wondrich. Love the historical info as well as the variants he lists. It’s the classic cocktail version of the vodka and juice drinks tree! Never was part of a bartending school. I’ve always been a believer of learn by doing. A certain part of bartending is, of course, learning the basics. But you don’t learn how to shut someone off, deal with an unruly customer or tackle the real life situations one encounters during regular service until you are standing behind a bar. Thanks for including Wondrich, Misty. He certainly deserves a spot on this list, and unlike several of the examples here, his books are easily obtainable! I recently read Regan’s “Joy of Mixology”, and I think David Embury is spot on: the early history of cocktail making is fascinating and his cocktail taxonomy is useful, but I’m not crazy about some of his drink recipes. I was generally disappointed that the bulk of the book was devoted to recipes, as I have vintage and modern bartending guides galore already. egullets cocktail forum…..that is the best modern source….you can learn anything and ask question and get responses from the smartest people in the industry…. my biggest cocktail influence is everything I learned about wine….how to respect nuances…..depth, structure, avoiding the cloying sweet….when you need sweet, when you need acid, when you need alcohol….flavors that are so integrated they become something new….flavors that are more discernable but roll across your tongue….blending techniques of good wine makers…. Part one of the posting is invaluable for all cocktail enthusiastsâ€”recommended reading from the very folks youâ€™d want recommendations from. Great move. And as someone contemplating whether and how to make a move into bartending (the alternative being to simply learn as much as possible for personal pleasure and improved hostessing), I was heartened to see this sampling of responses, including the above comments. This was exactly the kind of multiperspective info I searched for but didnâ€™t find elsewhere. Kudos! Thanks for including Wondrich, Misty. I think some crappy bartending schools give good bartending schools a bad name. As an owner of a school, as well as a bar owner I feel that may students do get a valuable education. It is true that some people have a natural talent for bartending and can learn from observing–but that’s not the case with everyone. I have students who have no idea what vodka looks like! And it would take an enormous amount of time for someone to work at a bar and observe in order to gain the knowledge that we teach in 32 hours. And who says you’re learning the right things. I know a bartender that has been working for 12 years that thinks bourbon and brandy are the same. A lot of “beertenders” out there! This has been so helpful – getting the opinions of others. I just did my first bartending gig yesterday (with no school) and was wondering whether or not to go to school; but first i had to see if i liked it – and i loved it – i felt at home right away behind the bar. It was a one-time, friend did me a favor spot, but i’m looking forward to getting back out there as soon as possible. I would definitely say that hands on is the only way to go. Schools may be helpful in teaching you specific drinks, but every bar is different – in set up, clientele, etc. it’s just a matter of making it feel like home – like riding a bike, pretty soon you don’t even think about it. anyone need a weekend bartender in central Jersey:)? Texts like this are great, but you def have to go above and beyond to get that first job. As Laurie mentioned, its also a great idea to get some real behind-the-bar experience to be sure that you actually like the work itself.